In the West, anything with horns will be automatically regarded as a devilish or evil. In other hand, in Japan it’s believed that more fiercer the character (or deity) looks; more power he (or she) have to spear evil away. 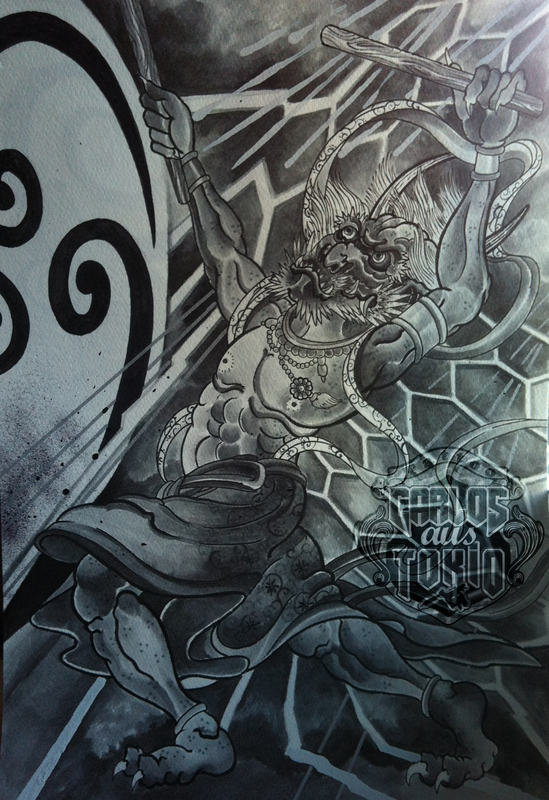 Raijin, the God of Thunder isn’t evil at all. In conjunction with Fujin (God of Wind), they create the rain. And rain brings harvest. Soon, I will post my version for Fujin. Meanwhile, click on the link above and choose your language and read bit’s more about our friend Raijin. Don’t fear the rolling thunder, fear the wrath!